You will note that more cars, from more places, used to be seen in Britain and some parts of Europe, than we are used to today. I recall Paris always being a fruitful visit in those days, with a fair chance of seeing something from the little-known French empire territories. Here we see a predominance of British Empire sightings and plates we could never hope to see today. Let me know if you like it, and would like to see John’s following years’ spottings, as they become available. In passing, can anyone prove or disprove that this MGA is carrying a Yugoslavian CD? It was taken in about 1962 in London, and is believed to have been either black or red on yellow. If not, where IS it from? 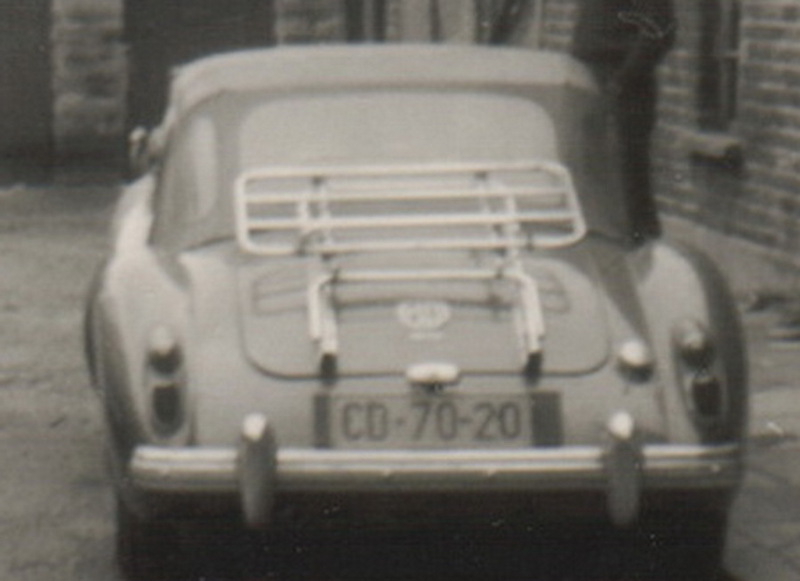 Quiz plate – DID (YU) have a CD series like this??? 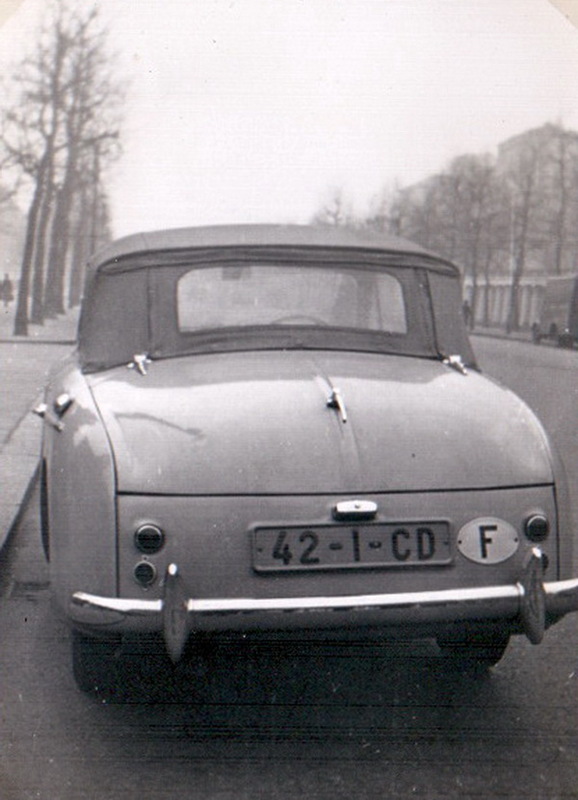 And still we have no identification by members of the diplomatic plate on this 1950s Austin A40 Sports. The ‘F’ oval cannot be correct……. This entry was posted on Tuesday, June 4th, 2013 at 2:22 pm and is filed under Uncategorized. You can follow any responses to this entry through the RSS 2.0 feed. You can leave a response, or trackback from your own site. Very interesting, Vic. I will be glad if you also publish the following years. I always follow your blog, but for some reason I am not able to post comments, maybe I didn’t register correctly. Well – Marcello – you seem to have been successful this time! And – I have your marvellous Vatican plate book which I recommend wholly to the members – Terrific!